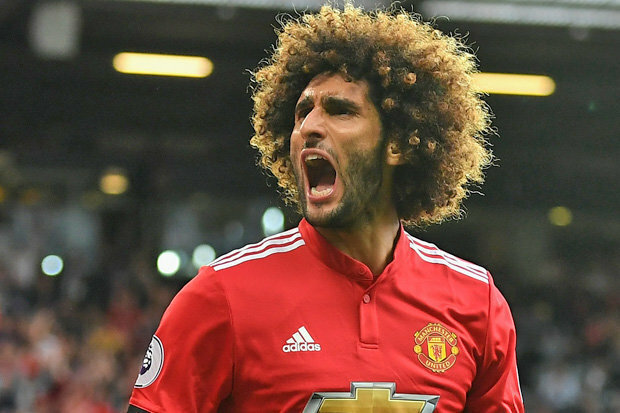 According to the Independent, Arsenal are showing a strong interest in signing Marouane Fellaini as the out-of-contract Manchester United midfielder prepares to make a decision over his future. Unai Emery is in the market for at least one, if not two, central midfielders as Santi Cazorla has left to rejoin Villarreal while Jack Wilshere confirmed last week that he’ll be leaving when his contract expires at the end of the month. We’re reportedly on the verge of announcing a deal to sign Lucas Torreira from Sampdoria but Emery seemingly wants another option in the middle of the park and Fellaini has been strongly linked in recent weeks. The Belgian international will be out-of-contract on Sunday after failing to agree terms over a new deal at Old Trafford with the Independent claiming that Manchester United have refused to meet his £120,000-a-week wage demands. The situation has seemingly alerted Arsenal as the newspaper says we’re showing a ‘strong interest’ in signing Fellaini on a free transfer this summer but we’ll face competition from AC Milan and a number of other Premier League clubs. Like many Arsenal fans, I’m not too impressed by these rumours [to say the least!]. Fellaini is a limited footballer who has become a laughing stock among the United fans since joining from Everton five years ago. He’ll turn 31 later this year and even on a free transfer I wouldn’t want him at Arsenal next season, so hopefully he decides to join Milan or one of the other clubs showing an interest in him.